Is your personalized marketing strategy cutting it? Personalization has changed the face of marketing. It targets current and prospective customers by appealing to their preferences and interests, and it increases the odds of engagement and conversions. Some marketers are still getting personalization wrong, however. 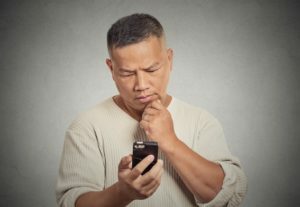 Failed attempts at personalization turn off the recipient rather than drawing them into a personal connection with a brand. Are you guilty? 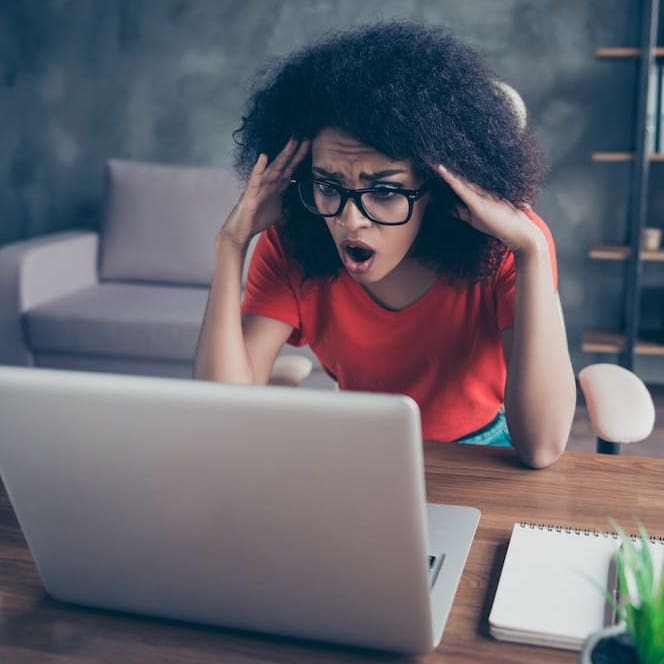 Here are some typical personalized marketing mistakes with tips on how you can avoid making them. 5. 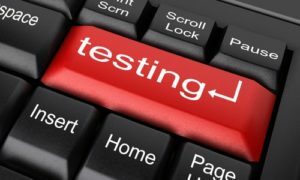 Are You Testing Your Personalized Marketing Campaign? You may have access to someone’s name, but it doesn’t mean you’re addressing them correctly. Be sure you’re using the name a person will respond to. For instance, if you have a double opt-in mailing list form on your website, there’s a good chance you’re already getting the correct name from your customer. Let’s call him Mike. If you buy a list that has Mike listed as Michael, however, it may be a red flag to him. See the difference? OK, it’s subtle. Michael may, in fact, be Mike’s given name, but you can create a better personal connection by calling him according to his preferred name, which is Mike. Here’s a simple but important personalized marketing strategy tip. If you know where your data is coming from before you send mail to someone, you’ll use the correct name that will get their attention and you’ll be more likely to elicit a positive response. The last thing someone wants to receive is a piece of mail that doesn’t have any relevance for them. If you send a one-to-one marketing message that only talks about your company or the product you’re selling, you’ve already taken a step in the wrong direction. You might even be irritating the customer with your well-intentioned, but obviously self-serving information. Don’t start a conversation with a potential customer by talking about your company, your product, or your service. That’s a personalized marketing strategy that’s off track. Begin by addressing their unique needs and challenges. Talk about how you can help that customer with your company, your product, or your service. By putting the focus on their needs, you’ve positioned yourself for success. Make sure all aspects of your company put customer satisfaction first. Don’t assume you know what’s going on because a particular point of data was accurate in the past. Maybe a consumer was once in the market for your brand of widgets, but five years later, not so much. In a customer’s life — or anyone’s life for that matter — there are phases. If you’ve ever had children, you were once shopping around for diapers and strollers. But those kids grow up and don’t need diapers and strollers anymore. In fact, anything you were once shopping for when you had small children is going to change when you stop having kids. The lesson here is to not make inaccurate assumptions. For a personalized marketing strategy to be effective, update your data whenever possible. Modern-day, customized marketing is all about reaching the right people with the right message at the right time. Customized marketing workflows can help by following your customers on their journey with messaging and offers that evolve with them. 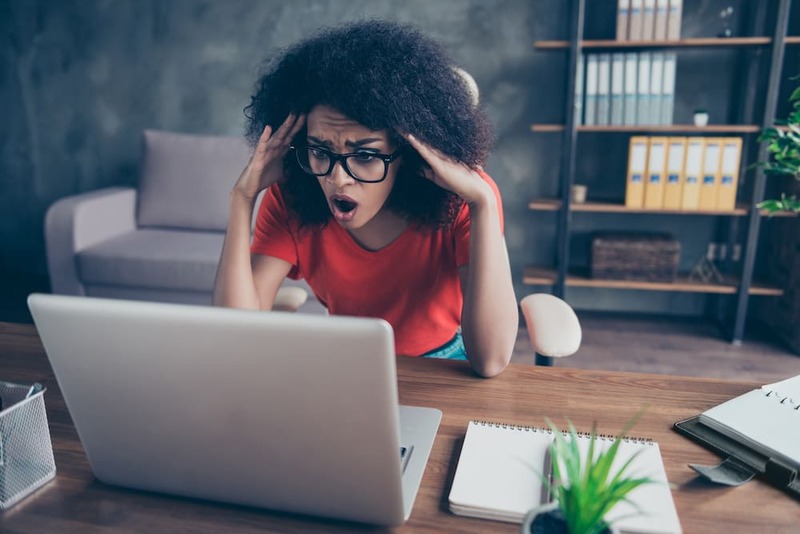 Have you ever received an individual marketing message asking you to buy a company’s product again or renew a subscription to their service when you never had any connection with them in the first place? Or maybe you’re already a member. Why would you want to become a member again? This type of messaging causes a lot of confusion and aggravation for consumers and repeated violations only further turn them off to your brand. How does this mistake happen in the first place? Imagine you’re the customer for a moment. Let’s say you visited a website and provided your email address in exchange for something you deemed valuable at the time. That doesn’t mean you have a connection to that company, though. All it means is you were/are a potential customer. Think about this when you’re creating your personalized marketing strategy and communicating your own brand. You’ll miss the chance to properly create a relationship with a new customer if you approach them as if you’d already been doing business together for years. Maintaining an accurate database can be difficult, but it should never stop you from checking your data or running a test before sending out your personalized marketing mail. Have you ever received an email addressed to FirstName? Ouch. There’s almost no way anyone is going to take that message seriously. Furthermore, with that type of obvious blunder, you’ve likely done enough damage to your brand name that the recipient doesn’t want anything to do with you—now or in the future. Get to know your customers and what interests them. Then check to make sure your data’s valid before you send your campaign. Remember if you’re using personalization tokens in an email, always create a custom default value. That way if data is missing for something like a first name, your recipient will be greeted by the term you choose. Saying hello to a “rewards member” or “marketing expert” is a lot better than calling someone FirstName. Your customers are trusting you with their information. Don’t betray that trust by being manipulative. Be clear about what you’re going to do with their information and you’ll win their respect. Whether you’re generating email opt-ins on your website, permissions on mobile apps, or social media logins, let your customers know how you’ll use their information. Then protect the data you have. If you’re going to dig into personalization so you can better serve your customer’s needs (aka hyper-personalization), you’re going to need a data management system that accepts information from a variety of sources. Application Programming Interfaces do just that. API integration allows all your data to be compatible with varied software systems. Remember, your customized marketing efforts are only as strong as your data, so this is a key function in the personalization process. You can leverage all your contact data to organize targeted lists around your verticals and marketing personas. Then use multiple personalization tokens, layouts, and formats to create collateral that’s unique to each recipient. Is that easier said than done? Not at all. Embrace the power of targeted marketing with personalized content from BlueSky ETO’s “engineered to order” software solution. It creates customized marketing for your brand’s particular needs, with built-in API integration. Want to know more? Schedule a free consultation today. If you only use personalization for one-off emails, you’re missing a major opportunity. The cornerstone of a personalized marketing strategy and many customized marketing campaigns involves automated emails, or autoresponders. You might know this as a drip campaign. However you choose to label it, marketing automation works. By creating a set of automated marketing emails based on specific timelines or user actions you define, you’re not only engaging with your audience, you’re also customizing your messages to suit specific segments of your mailing list. And you’re saving yourself a ton of time. The results speak for themselves. A series of relevant, targeted emails receives a 119% increase in clicks and 18 times more revenue than emails that are not targeted. So whether you’re nurturing leads, welcoming new customers, trying to rescue the contents from abandoned shopping carts, or getting someone to renew their subscription, plan it out as a strategic series of messages for a better chance at the results you’re looking for. A noreply email message is just plain bad for marketing. When you use an email address that isn’t monitored and actually blocks customers from replying to you, you’re creating a frustrated customer. It also decreases your campaign’s deliverability and increases your chances of being flagged as spam. 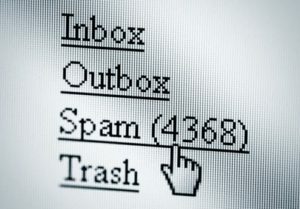 Some network spam filters and many customer’s personal email security settings will automatically direct noreply emails into a junk folder. Naturally, this will decrease your rate of delivery and you’ll have lower conversions as a result. Swap out the noreply address for an email address that accepts responses. Then be sure to respond in a timely manner. No business wants their campaign to receive a one-way ticket into a customer’s spam folder. To help prevent it, don’t include any attachments with your message. By adding a photo or file attachment of any kind, it increases your chances of never being seen, let alone opened and read. If you want to add a photo or graphic to your marketing campaign (which you almost certainly will), use customized marketing software that features templates where you can embed images into your message. There’s never a need to attach anything. You create/design the campaign and the software sends it to your list. If you need to share a pdf or other large document, consider hosting it on your website instead. By providing a link instead of an attachment, you’ll save your message from the spam folder and earn some web traffic at the same time. Your customers will likely be opening your email message on a variety of devices. Desktop, laptop, tablet, smartphone. Be ready to appear perfect on all of them, otherwise you could turn off a potential customer who doesn’t like the look and feel of your message or simply can’t read it correctly. To avoid this dilemma, be certain your personalization is impeccable, no matter what images you’re using. Then test and optimize your campaign across all devices before you send it. That way you’ll ensure it looks good and that it’s easy for everyone to read. If you’re linking to pages within your email, don’t forget to make sure these pages are optimized for mobile and tablet as well. We live in an online world saturated with spam emails and banner ads. Spam accounts for 45% of all emails sent. That’s 14.5-billion spam messages floating around our inboxes (or junk mail folders) every day. And banner ads appear on almost every website we visit. Web banners will likely become a $27-billion industry by 2021, with mobile devices leading the charge. That’s why any piece of personalized marketing mail—electronic or physical—stands out amongst the digital clutter. When you want to connect with your customers, having a personalized marketing strategy is the answer. It doesn’t matter if you’re managing a single location or a complex independent dealer network. No matter what your marketing goals are, the focus should always be on creating connections. And one of the best ways to create lasting connections with consumers is through targeted, personalized marketing. By avoiding the personalization mistakes listed above, you’ll be well on your way to creating connections that last a lifetime. 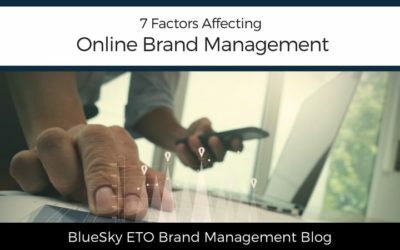 The best way to realize your personalized marketing strategy goals is with powerful, customized software from BlueSky ETO. This innovative marketing software uses multiple personalization tokens to provide highly targeted messaging that’s unique to each recipient. Find out for yourself by taking the live demo for a spin today. A personalized marketing strategy creates connected customers. Failed personalization does the opposite. Here are 10 mistakes you can't make. These are such great tips! There are a few things listed on here that I never knew I was doing. Thanks for this, it is so helpful and insightful. Great tips here! There is some really helpful advice here for marketing strategies. These are amazon tips for those seeking marketing advice! Personalization is such an important component of any marking strategy! I just experienced the self centered email. I feel like the sender wants me to click the unsubscribe button. He only want me to buy the products. He does not want to know what I need. I understand that email marketing needs a budget. But there is a better way to treat the subscribers. This makes a lot of sense. By the way, I have a mailing list too and sometimes, I like to use the merge first name tag. I noticed that when some people sign up to my mailing list, they type their name in all capital letters. I get conscious about the fact that when I use that first name tag, their name will be in all capitals which might look like I’m shouting at them! I go through sometimes to check this and correct it in my mailing list program. Really great tips!! I love when emails allow me to reply. It helps me feel like the sender is truly interested in engaging with me instead of simply feeding me information. These tips are a big help for the companies and groups for their marketing strategies. Such a powerful insight in which team members can learn a lot. You can never get enough of learning and knowing enough on marketing. Thanks for the informative information. These are very helpful tips. I am glad to knowing about marketing mistakes. Lot of people having a mistakes like the “Using the Wrong Name” this one is usually. These are some great points. I think protecting your customer’s personal information is especially important! Great suggestions. Oh so helpful!. Thank you for outlining this…You broke it down so plainly. Marketing plays a huge role in my life, so this is some serious food for thought! These are great reminders! Sometimes marketing can be so difficult to understand. Knowing the right marketing strategies can make such a huge difference for your business. That affect so many things too! We really have to know the details of our client specially the name. Its very informative and useful in interacting on online.Thanks for sharing! These are great tips and you very well explained everything about it and I think it will also help other company and industry when it comes to their marketing. Thanks for sharing these information. These are very timely nowadays and make us all guiding in marketing. Great tips! I appreciate my email list as it connects me with the readers who are engaged and interested in my content. Being able to reach them can take a lot of fine-tuning, and this certainly helps. This is quite an informative post. I am a culprit to one of the marketing mistakes. I’ll keep these in mind for whenever I send out a mass email. Thanks! These are all great tips. Marketing is so important for any business so it’s important to know the do’s and don’ts. Great recommendations for staying on top of marketing and productivity. Thanks for sharing what looks fairly easy to incorporate! What a great post. It’s one I’ll be coming to over and over. If there’s something I want to learn is how to address a marketing agency and or PR. This is such a great post. There were a lot of really great points listed. Some of these mistakes I have made myself! These are all great tips, I will be keeping them in mind as I learn to get better at marketing. I have used the wrong ‘right name’ and it does strike a chord. However brief, it does have that impact. One of the hardest thing is choosing the name of the business for sure! That was based on my experience. Trust is what needs to be gained first and foremost!! I don’t view myself as a marketer and don’t send out mails to “customers” but like to read about strategies and how other people work. Sometimes I think I should think more like a marketer, but I’m just not in that place yet. It’s always great to learn something new and different in this industry. 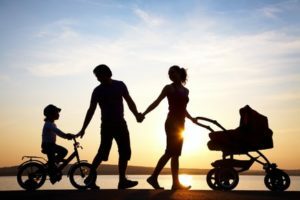 This is some great insight and tips. Thanks for sharing! This is very informative. I have learned a lot as a newbie. Keep posting articles like this. Thank you! This post will help a lot to avoid making mistakes in business. And marketing is such a sensitive thing that can ‘make or break’ a business. These are pearls of wisdom for anybody who is seeking marketing tips. Thanks for sharing. Great tips you have it here. I like you you have listed all the important tips into numbers as it is pretty easy to digest. The very first tips was kind of awful if we were used the wrong name to address our potential clients. This is helpful because I always have questions about having a mailing list and sharing emails with the people within this list. Good points. These are really great tips for marketing strategies. I think #6 is very important especially with the data privacy act that is being implemented. Thank you for sharing! Good to know! I’ll keep these in mind. I always want to improve my marketing skills. There is a lot of useful information here! I find it easy to follow when you offer detailed input on your main point. Helps me understand what you mean more!! Thank you! Getting to know your customers is always a good thing. If you know their name that is even better. Wow, I feel I benefited so much from your detail post. Thank you for sharing such great insights.